This is our most recent advert in the new issue of DIG which is out now. 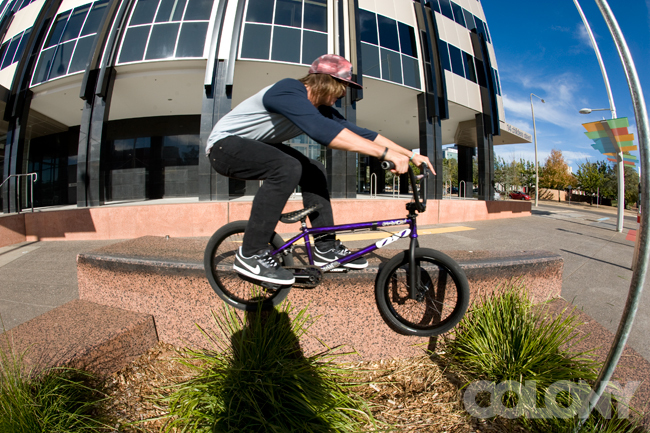 We shot this photo with Chris Courtenay a week before he blew out his knee a few months ago now. Chris will be back rolling in a couple of months. … it’s freaking amazing !! Blatant re-post I know but Chris Courtenay rules, enough said. 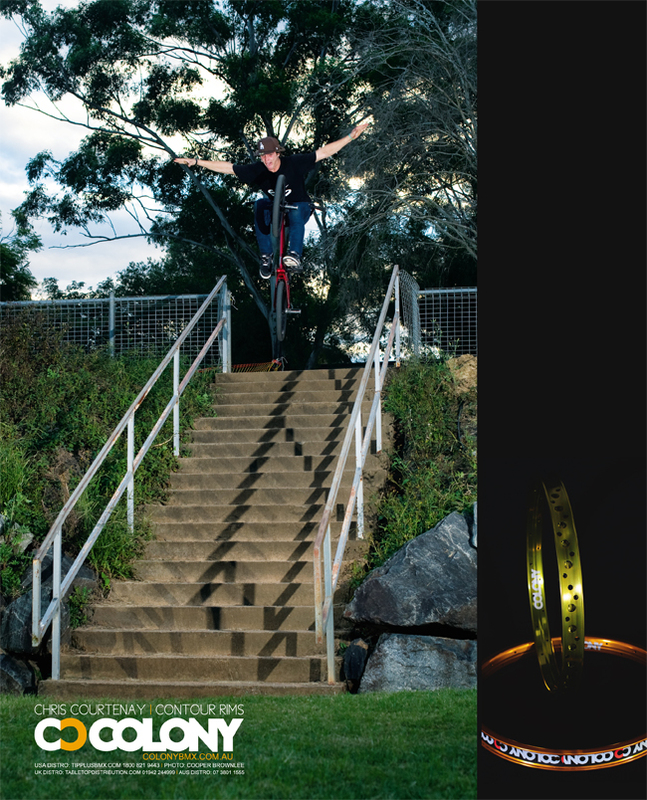 Chris Courtenay – Welcome edit from Colony BMX on Vimeo. Chris Courtenay is well on the road to recovery from his knee reco earlier this year. He should be all set to be back on his bike in November. He will be putting together a brand new 2011 model Teddy frame with all our new parts in the next few weeks. That is once his broken hand heals up… Yes, he broke his hand recently during an ‘incident’ off his bike. Ask him next time you see him what happened… haha. A new edit from Chris Courtenay using a bit of scrap left over footage taken before he went in for knee surgery. I only wish my scrap footage was this good! Chris dropped by the office yesterday with his girl Mel & seems in great spirits. He also got himself a Subaru Impreza recently too which looks sweet. Chris will be back on the bike in November this year, it will be good to see him riding again for sure. Thanks to Salad for the edit as well, word. As most of you would know Chris Courtenay did his ACL a couple months ago, well I spoke to Chris just before and it seems everything is going well in the recovery. He is off crutches now and should be back on the bike in about four and a half months. I spotted this photo of Chris on facebook (obviously shot before the injury) and had to post it. Shot by Michael Harris at Shoalhaven Heads park in NSW. Dialed! Chris Courtenay has a bunch of good clips in this edit from DiversityBmx. 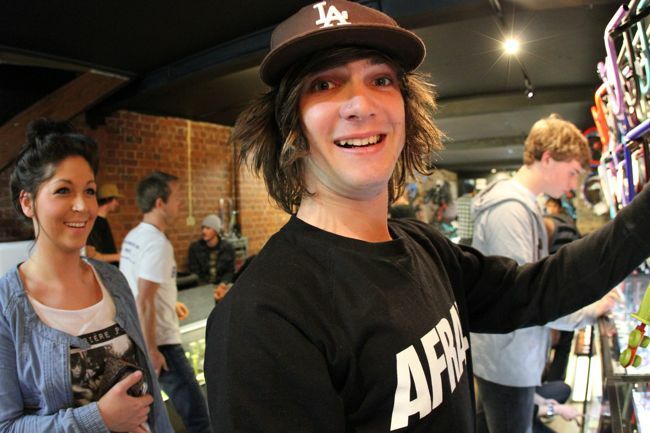 Chris is out for a little while with a knee reco but I can’t wait to see him doing stuff like this in again. 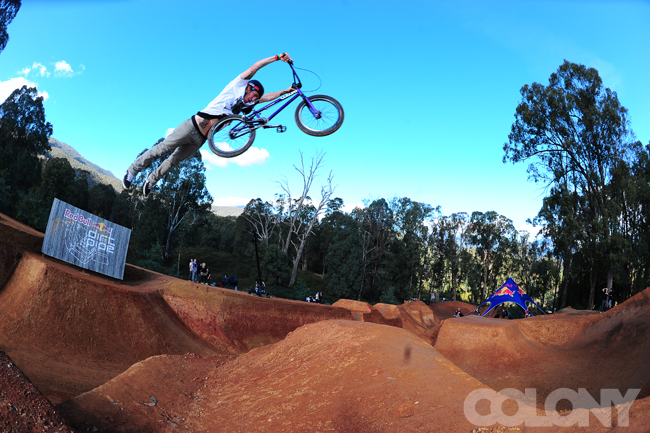 Chris Courtenay on a recent trip down in Sydney. Chris got two flats but got it done. So good. Everyone worked hard to get some new photos for their team pages along with new Q&A’s. I am stoked on how they came up! Check them here, have a read to learn a bit more about the team. Extra thanks go out to the photographers from around the world that helped out with team riders photos. The photo below is of Liam Fahy-Hampton from a fairly recent trip from Brisbane down to Melbourne, it’s amazing what you will find in small towns. Chris Courtenay called me yesterday with an update on his knee situation. Unfortunately, he confirmed that he has in fact done his ACL & will be going under the knife next Thursday. It’s a shame to hear Chris go through such a thing at this time. He has been absolutely killing it of late. He will be back though without fail. We will keep him busy around the warehouse during his recovery & I am sure he will beat his record on Doodle Jump as well to pass the time. I wish you the best recovery mate & chin up… all will be good. 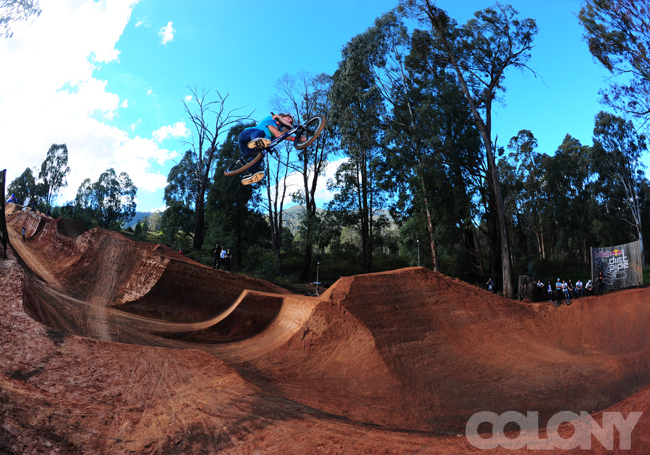 I just got back from the Redbull Dirtpipe Comp that happened on the weekend. Definately an eye opener! Chris and Zac both rode in the comp and Chris made it to the finals but unfortunately had a crash which he injured his knee pretty bad and had to be taken to the hospital. Chris is going to see a knee specialist today, fingers crossed everything is ok. Myself, Chris Courtenay and Zac Miner were floating about in Canberra yesterday before we headed down to the Redbull Dirt Pipe comp, the weather was rad so we got a solid ride in. below is Chris at a pretty familiar spot. Round 1 of the Core Series for 2010 went down recently in Morayfield & this is the video edited by Raph for Core Series. Our own Chris Courtenay took out the win in pro. Check it out. 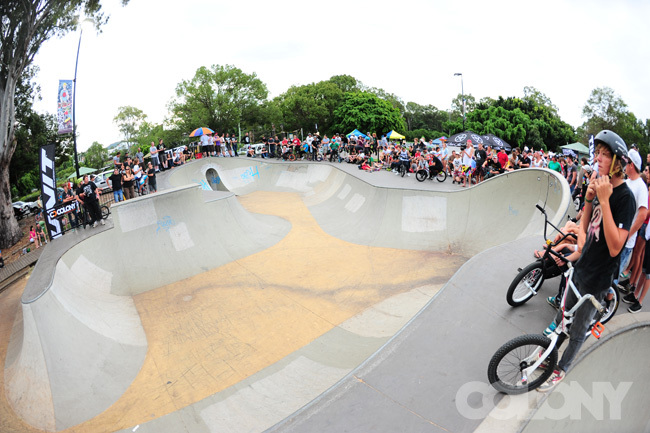 Amigos of Dave Bike Day video put together by Unit from last Saturday’s event on the Gold Coast. It was a great day & some good funds were raised for Dave Montoya’s medical funds. Chris Courtenay kills it with some really good stuff in there. Check it out. I really did have a ball at the Amigos Jam yesterday in Brisbane, thanks to everyone that helped put it on, Chris Courtenay ended up winning the bowl comp and also tied 3rd in the street comp. Goodtimes. When I asked Chris to join the team a short seven weeks ago, I knew it wouldn’t be long before he proved himself & received an upgrade to the pro ranks. Well that time has come & Chris is now officially a part of the pro team. Like everyone on the pro team he had to prove himself first, which he has done so with ease like in his banger web edit below. Welcome to the pro ranks mate, keep up the shredding ! !